Thanksgiving’s gone, the holiday season is racing this way, and here at ClassAction.org, we’re as busy as ever. This month, we’ve got airlines that are misbehaving, jewelry that’s been heavily marked up, sales tax you don’t actually owe, plus sneakers and vehicles with some real design flaws. If any of these affect you, be sure to get in touch and we’ll take it from there. 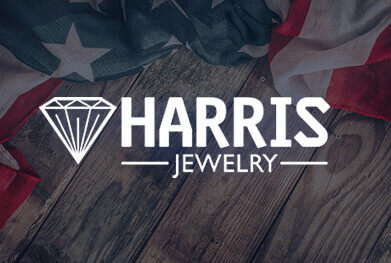 In October, the New York Attorney General’s office lodged a lawsuit against Harris Jewelry – a company that specifically sells to military personnel and their families – for excessive markup on its jewelry and illegal financing agreements. According to the suit, while Harris is outwardly a jewelry retailer, the company makes its real money getting active service members to sign financing agreements for rings, medals and other jewelry, basing the amount of credit extended on how long the service member has left on his or her military contract. This is because, the suit says, service members with nine months or more left to serve have a “higher likelihood” of repayment. The suit also claims that the jewelry itself is grossly overpriced and sold to members at four, five, or even ten times its wholesale value – far above the industry standard. On top of that, the lawsuit accuses Harris of charging far higher interest rates than advertised, with some members paying 300% – and not the 14.99% they thought they were – because of inflated retail prices. Now, I know that’s a lot to take in, so if you entered into a financing agreement with Harris Jewelry, read more about how a class action can help on our Harris Jewelry page. If you used coupons at Walmart and still have the receipts from your transactions, attorneys working with ClassAction.org want to speak with you. It’s possible that you were overcharged on sales tax and they pocketed the difference – a class action lawsuit may be able to help get your money back. Now, this may sound familiar and it should. Walmart has been sued before over claims that it charged too much sales tax on purchases made with store and/or manufacturer coupons. In one case, shoppers claimed the store illegally failed to deduct the value of the coupon before charging sales tax, and then printed such confusing receipts that customers were unlikely to notice the problem. That suit was settled in September 2018 – but it only applied to people living in Pennsylvania. Attorneys believe more class action lawsuits can be brought in other states, but first need to hear from Walmart shoppers. If you’ve used coupons at Walmart and still have your receipts, get in touch today to learn more. If you own a Kubota vehicle, such as a tractor, mower or utility vehicle, with soy-based wiring, you should know that a class action lawsuit has been filed over allegations that the wiring attracts rats and other rodents. These pests, the suit claims, chew through the wiring and damage the vehicles to the extent that they’re no longer operable. The plaintiff claims that Kubota should have known about the issue, especially when there was national media coverage over the problems with soy-based wiring in Toyota and Honda vehicles. Because Kubota vehicles are likely stored in sheds and other outdoor places, the suit points out, the company should have been even more aware of the possibility of rats being attracted to the wiring and damaging the vehicles. Does this problem sound familiar? If so, a lawsuit could help you seek compensation for past and future repairs and the diminished value of your vehicle. Get in touch today to find out more. Skechers Light-Up Sneakers Causing Chemical Burns? Skechers U.S.A. Inc. is facing a proposed class action lawsuit over claims that its battery-operated light-up kids’ sneakers have caused chemical burns due to a design flaw. The issue allegedly stems from the battery being too tightly encapsulated in the shoes, which in turn can lead to high-pressure rupturing. Should this happen while a child is wearing the sneakers, he or she can become seriously injured. The suit claims that the company may have known about the risk as far back as 2017, but chose to suppress the complaints rather than address the issue. It’s believed that customers who raised concerns about the shoes were offered replacements, while the complaints posted on the company’s website seemingly disappeared. Read more. Six consumers have come together to file a lawsuit against Bose Corporation over its SoundSport, SoundSport Free and SoundSport Pulse wireless rechargeable headphones. The suit claims the headphones don’t work as advertised, as they quickly lose their battery life and, eventually, the ability to hold any charge at all. According to the complaint, Bose sells its sports headphones alongside claims that the products are weather-, sweat- and water-resistant, ideally suited for those jogging, playing soccer, snowboarding, rock climbing, and engaging in other outdoor activities. So, when the batteries reportedly diminish until the headphones become almost unusable – all because they were exposed to sweat and water – it’s easy to see how consumers can feel deceived and misled. It doesn’t look like Bose has done anything to address the problem either, continually refusing to acknowledge or try to fix the issue, and sometimes offering replacement headphones that have the same exact flaw, the suit says. Read more. Apple – no stranger to lawsuits, it must be said – is facing yet another one. This time, plaintiffs have identified a “critical defect” in iMacs and MacBook laptops that lets dust and debris build up behind the computers’ screens. The problem? Apple allegedly never installed filters in its computers’ vents, which are used to bring in cooler air. The suit claims that this can also cause the motherboard to overheat, slowing down the processing speed of the computer and even causing them to crash. Adding insult to injury, it looks like Apple is charging up to $600 to replace smudged screens despite plaintiffs’ insistence that a cheaper and easier fix exists. Interested? Read our new blog all about the issue. If you work for a regional airline as a flight attendant and only get paid for “block time” – the time between the closing and opening of the main cabin door – attorneys working with ClassAction.org would like to hear from you. Only paying for block time may be illegal, as it cheats most flight attendants out of pay for time spent checking in, clearing airport security in full uniform, helping passengers board and performing pre-flight safety checks. Last month, Virgin America flight attendants asked a California judge for $85 million to put an end to a suit that claimed the airline failed to properly pay them for all hours worked. If you work as a flight attendant and only received pay for block time, despite carrying out work-related tasks before and after your scheduled flights, you may be able to take action through a class action lawsuit. Learn more here. What’s Going On with this Domestic Airlines Settlement? If you received an e-mail recently about a settlement over domestic airline tickets, this one’s for you! Two major airlines have agreed to settle class action litigation that alleged the “Big Six” carriers – American Airlines, Delta Air Lines, Southwest, United, Continental and US Airways – worked together to illegally increase domestic flight prices for almost a decade. American Airlines and Southwest have agreed to pay out $60 million to put an end to the claims against them, while some of the other defendants are continuing the fight. It’s a complex situation – which is why we’re happy to bring you a detailed breakdown of who said what and why in our new blog. Enjoy!